I've been sick since Sunday night and sleeping about fifteen hours a day. 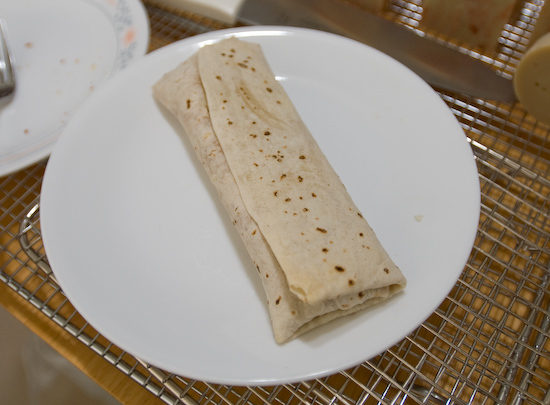 It hasn't really affected my bowels, so eating hasn't been an issue. 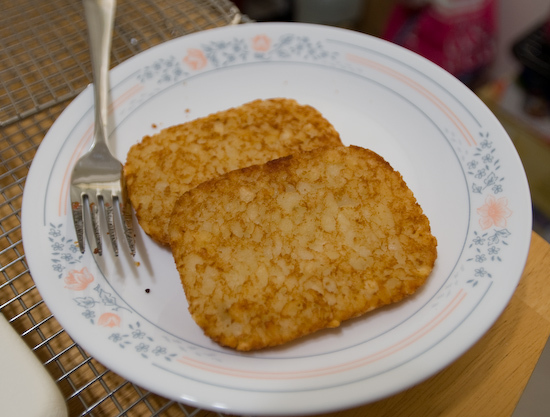 Digging through the freezer again, I cooked a couple hash brown patties and the remaining Trader Joe's chicken burrito (they come in pairs and I ate one on Jan. 21). 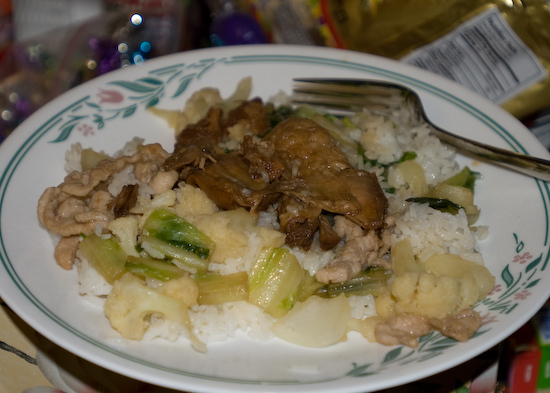 Tina's mom brought us stir fried lettuce, cooked cauliflower, and soy sauce braised pork for dinner.